Hammock camping is my preferred method of sleeping for any trips under a week in length. 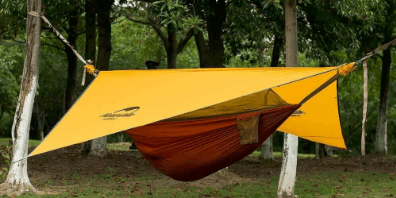 And I find myself leaning towards a hammock set-up that can function for even longer trips (like the JMT or PCT!). But for many hikers and backpackers, sleeping all night in a hammock either sounds uncomfortable or impractical. Today, I’ll offer 10 benefits of sleeping elevated that might convince you to, at the very least, give hammock camping a try! Now, before we get into the benefits, I recognize that hammock camping is not ideal for everyone. When my partner and I go backpacking, for example, we almost inevitably tent camp. That’s because we usually have our three-year-old boxer with us and there’s still just barely enough room for us in our three-person Marmot tent. But, for those solo adventurers and ultralight travelers out there, you should consider these benefits before purchasing another one-man (or woman) tent! 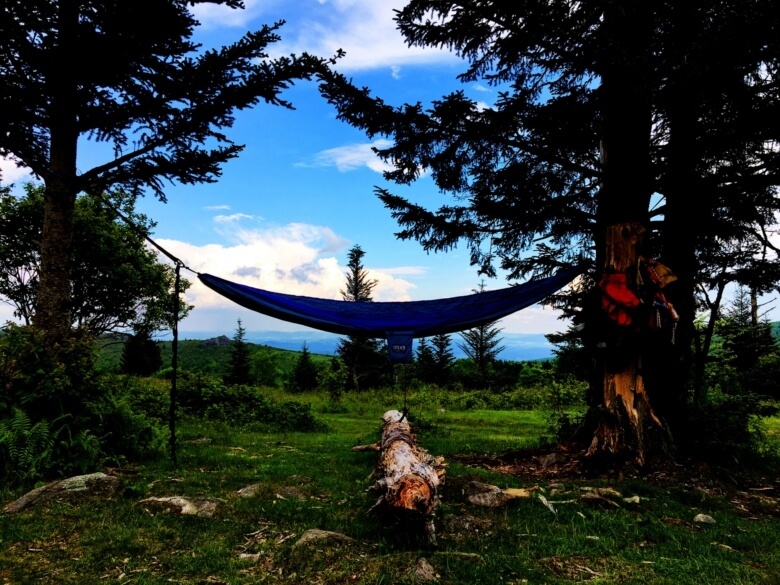 Side note: If you’re already convinced of the benefits of sleeping elevated, be sure to investigate My Top Backpacking Hammocks. 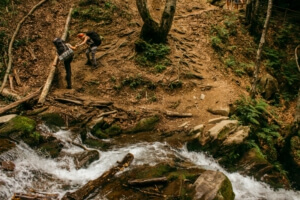 I’ve also posted some great articles in my Hiking Tips and Trails section. Check out my Outdoor Gear page for reviews on water filters, tents, hiking shoes, trekking poles, and more. Also, check out my Backpack Reviews, including brands like Kelty, REI, and Gregory, if you’re in need of a new pack. Finally, my YouTube Channel is full of informative video content if you’re not really into reading! Literally! When you climb into your hammock at the end of a long day of hiking, you’ll be rocked to sleep just like you were as a child. There’s something still innately rooted in our biology that responds when we are rocked back and forth as we relax and nod off to sleep. One of my favorite parts of hammock camping is the gentle swaying that eases me into a beautiful night of sleep. 2. The Flow Is Cool! When sleeping elevated in a hammock, you’re exposed to much more airflow than you would be in a tent. On warm summer nights, it can be difficult to fall asleep if you’re too hot. In fact, experts have suggested that there are a number of benefits of sleeping in a colder environment. By sleeping elevated, your body is exposed to much more air flow and, as a result, it has an easier time lowering your body temperature so that you can get a restful night of sleep. If you’re worried about being too cold when sleeping in a hammock, there are a number of solutions for that as well. Personally, I use my sleeping pad as an insulating layer in between my hammock and my sleeping bag. There are also a number of sleeping bag liners or hammock quilts that can help to keep your set-up warmer. And, of course, don’t forget about the trick of boiling water before bed and putting it in your water bottle, then setting the bottle in between your feet (in your sleeping bag) to keep you warm as you drift off! 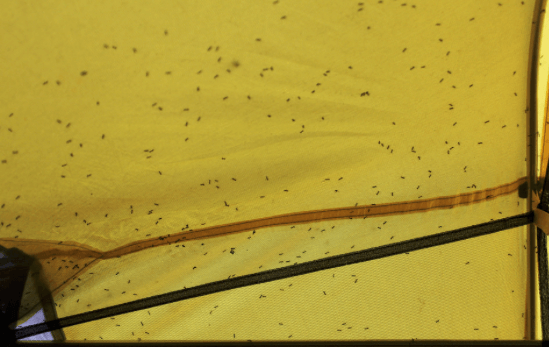 Now, if you’re using your tent properly, you shouldn’t have to worry about insects. But if you happen to forget to zip up your tent all the way, even the smallest opening can invite unwanted visitors. In a hammock, however, you’ll rarely find insects brave enough to walk the tightrope of your hammock straps to explore further. Flying insects can easily be repelled with a bug net too! 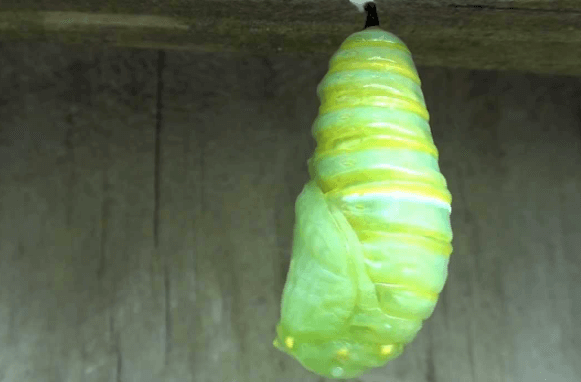 Who doesn’t imagine themselves waking up in a new, improved form one morning? Suddenly you’re outfit with these beautiful orange wings and you can fly! Okay, while you might not be “reborn” after sleeping the night in a hammock, I am a wholehearted believer in the comfort of the “cocoon.” It’s a feeling I can’t quite explain using words alone, but once you give hammock camping a shot, I’ll bet you’ll find your own understanding. For backpackers tackling a long, extended time on the trail, one of the hardest parts can be overcome the swelling in your legs every morning. It can take a while to work out the kinks and really get things moving again. But when you sleep in a hammock, your legs naturally elevate above your heart. This promotes healthy blood flow and reduces the swelling in your legs. You’ll wake up feeling more refreshed and ready to tackle more mileage every morning! Opposite of your feet, we’ll find your head (just in case that wasn’t clear already). My brother is a big-time snorer, but I find that he only really does it when he sleeps directly on his back. There’s actually mounting evidence that suggests sleeping on your back can be detrimental to your health. Fortunately, even if you sleep on your back in a hammock, your head (like your feet) is elevated above your heart. This helps air flow more freely through your nose and throat and reduces the likelihood of snoring that keeps your hiking partners up! 7. It’s Time to Get Back (Pain Free)! Sometimes we are so tired at the end of a long day of hiking that we don’t really have the energy to clear a nice space for our tent. As a result, we wind up sleeping on rocks, roots, or some other hard object that causes us to wake up with a knot in our backs. I’ve been there. It’s not fun. But, I’ve never been there when sleeping in a hammock. By sleeping elevated, you remove the likelihood of sleeping awkwardly on a hard object and waking up with crippling back pain. Going the hammock camping route opens up your realm of possibilities for campsites. When you tent camp, you have to find a relatively flat, open spot without grass or other sensitive materials that you could damage by setting up a tent. With a hammock, all you need is two trees. If you’re hiking a very popular trail, like the John Muir Trail, you can often find yourselves competing with a lot of other hikers for only a few good campsites. But with a hammock, you can set up anywhere and anytime, so long as you have trees to tie off to. The only conditions that hammock camping aren’t great for are when you start traveling above treeline. Above treeline means no trees (in case you’re struggling to keep up! ), so it requires a little added creativity. 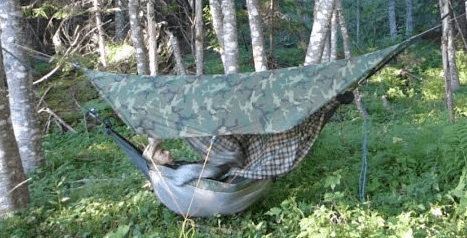 In this case, your hammock can serve as a ground tarp and if you’re expecting inclement weather, your hammock tarp can be fashioned as a bivvy shelter to keep you warm and dry. Making the transition to hammock camping means leaving behind those heavy tent poles. In their place, you’ll get to pick your favorite two trees to camp underneath every night. Hammock camping is a great choice for ultralight hikers because they are also generally made with lighter materials than most tents. 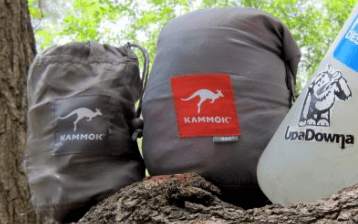 The fact that hammock manufacturers don’t have to include a heavy-duty bottom layer to keep the material dry and make the hammock resistant to rocks and roots means they can make a product that, overall, is much lighter than most tents. 10. It’s Open (to Nature)! One of my favorite parts of hammock camping is the opportunity to gaze up at the star-filled night sky as I wind down from a long day of hiking. Of course, I’ll cover up with a tarp if I expect any weather, but hammock camping gives you the luxury of remaining open to nature, which means open to the stars at night and the beauty of the rising sun in the morning. Some hammock enthusiasts believe that tent camping is simply trading a sturdy roof at home for a slightly thinner one in the woods. If you really want to embrace nature and envelop yourself in her essence, hammock camping is the way to go! How About These Benefits of Sleeping Elevated? I hope you’ve enjoyed this summary of the benefits of sleeping elevated! I’d love to hear your feedback in the comments section below. I’ll be quick to reply to any questions, comments, or concerns you feel like sharing. If you decide to purchase a hammock and get out for your first night of sleeping elevated after reading this article, I’d love to hear about your experience! Oh absolutely! My hammock is rated up to 350 pounds (158 kg) and I know of many hammocks that are rated even higher. Let me know if you need more info on hammocks rated for folks your size! I’ve never actually slept in a hammock before, but I wouldn’t mind getting one for when I go camping. It certainly looks comfortable. I also like the idea of being off the ground, where the insects can’t get to me. I also suffer from back pain, so it might be more comfortable for me to wake up in a hammock than on an uneven or lumpy surface. Thanks for sharing! I have found that I sleep much more comfortably in a hammock than in a tent. I know that I could get a beefier sleeping pad for tent camping, but I like to keep my setup pretty lightweight and padding isn’t really an issue when sleeping in a hammock. A thin sleeping pad is usually all I need for that added layer of insulation.